Welcome to Gameworthy Labs, where having fun is a science! Our First Game: Oh My Gods! Oh My Gods! is the first game by Gameworthy Labs. Set to release in 2016, Oh My Gods! combines strategy, deduction, and mischief as you solve the mystery of who stole Zeus’s lightning bolt. For 3-5 players, Oh My Gods! is a great game for individuals ages 8+ to challenge their game playing skills. 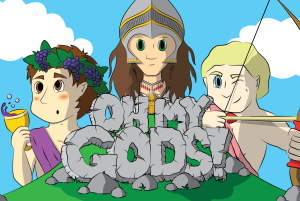 Click here for more information about Oh My Gods! 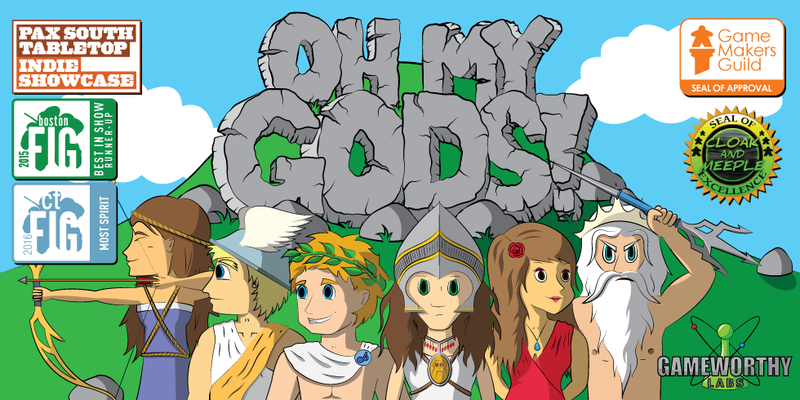 Be the first to get the latest news about Gameworthy Labs and our first game, Oh My Gods! Just enter your e-mail below. Copyright © 2019 Gameworthy Labs.